Slow down music without changing the pitch. 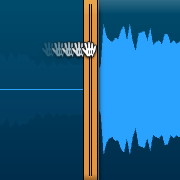 High quality audio engine preserves sound clarity. Zoom in and isolate selected parts of the song. Focus on the harder passages to finally get that solo right. 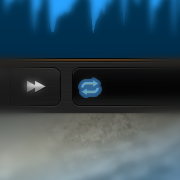 Enable automatic looping for the entire song or selected parts. Simple user interface and one-handed keyboard shortcuts make for effortless practice. 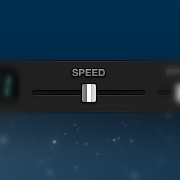 Use a simple slider to control playback speed between 25% and 175% of the original. 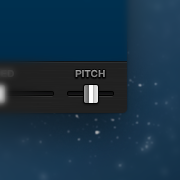 Adapt to different tunings with the pitch slider. Available range is -2 to +2 semitones. Zoom in with mouse scroll and focus on interesting part with movable range markers. Toogle automatic looping at any time for a hands-free practice session. A great little app. A speedy response too from the developer to a little problem I had, (as it turned out of my own making). Well worth the money. [...] now I can honestly say that it does all i need and automatic looping can be found on the time line . buy it and have fun slowing down songs you would like to learn changing pitch / speed ..unfortuneately I have not discovered how to save loops but what the heck its great…. Totally intuitive and simple interface. Great for slowing down tunes to learn them note-for-note.